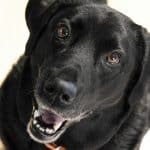 » CBD Oil for Dogs: What Are The Benefits? CBD Oil for Dogs: What Are The Benefits? People have been using cannabis and cannabis-derived products to treat illnesses and ailments for thousands of years, but the popularity of medical marijuana has exploded over the last decade or two. Given the encouraging results many people have enjoyed, some owners and veterinarians have begun using CBD oil for dogs. So far, the results have been mixed – just as they have been for humans using medicinal marijuana. Some owners claim that their dogs have benefited greatly from CBD oil, while others have been disappointed by the lack of results. Still others have reported concerning side effects after using these substances. You’ll have to work with your veterinarian to determine if cannabis would be part of a good treatment strategy for your dog, but we’ll walk you through the basics below. We’ll explain what CBD oil is, the ailments it is thought to treat, potential side effects and more, so that you can try to make the best decision possible for your pet. Like most other organic materials, cannabis plants contain a complex collection of chemicals. More than 400 chemical constituents have been identified, including 60 different chemicals called cannabinoids. Cannabinoids are the most pharmacologically important chemicals found in cannabis; and, although the other chemicals present in the plant also contribute to the health and psychological effects provided, cannabinoids are often considered the “active ingredients” of the plant. Tetrahydrocannabinol – better known as THC – is the primary psychoactive cannabinoid in cannabis; it is responsible for the “high” associated with the plant. However, THC also provides a number of health benefits, including the suppression of muscle spasms, pain and nausea. It also has an appetite-stimulating effect. Cannabidiol (CBD) is the second most noteworthy cannabinoid, and it likely provides more medicinal benefits than any of the others. Cannabidiol actually helps to moderate the mind-altering properties of THC, and it can help treat a variety of ailments, ranging from chronic pain to high blood sugar levels to nausea. It is also thought to reduce anxiety and the risk or arterial blockage, and prevent seizures, among other things. Cannabinol (CBN) has recently enjoyed quite a bit of attention from researchers and medical marijuana patients. And while cannabinol only provides a few primary medicinal benefits, it appears to do so quite effectively. Most notably, cannabinol helps to eliminate pain and stop or prevent muscle spasms, and it also works as a sleep aid. Cannabichromenes is a very interesting cannabinoid, and it is usually the second most concentrated cannabinoid found in cannabis (THC usually boasts the highest cannabinoid concentration). Cannabichromenes provides anti-inflammatory effects and pain relief, but it also appears to work in conjunction with other cannabinoids to provide additional medical benefits. For example, when combined with THC, cannabichromenes works as an antidepressant. Cannabigerol (CBG) provides a number of the same health benefits that cannabidiol and cannabinol do, including pain relief, the reduction of muscle spasms and it slows bacterial growth. It also stimulates the formation of bone and suppresses the activity of some tumors. Note that some of these cannabinoids are not present in raw cannabis (or they are only found in trace amounts). They are only produced when heat-driven chemical reactions take place, such as when the cannabis is cooked, smoked or vaporized, allowing the precursors present in the raw plant material to form the cannabinoids in question. THC is one such example. The human body contains a series of chemicals and receptors called the endocannabinoid system. The only reason cannabinoids affect our bodies the way they do is because they interact with this system. The endocannabinoid system is responsible for regulating a number of different bodily functions, including mood, appetite and pain sensation. The body makes its own cannabinoids, but those found in cannabis plants also interact with the receptors to produce similar effects. And as it turns out, humans aren’t the only animals with an endocannabinoid system. In fact, most mammals have similar systems. This means that administering cannabinoids to dogs may provide them with some of the same effects humans enjoy. There are two basic types of endocannabinoid receptors, dubbed CB-1 and CB-2. CB-1 receptors are primarily found in the brain and are primarily triggered by THC; CB-2 receptors are found throughout the body and primarily interact with CBD. When a human ingests THC, for example, the receptors become stimulated by an excess of cannabinoids, which causes the person to feel high or hungry. Conversely, when a person ingests CBD, they often enjoy a reduction in pain and inflammation. Hemp is a plant that is closely related to marijuana, yet it has a few important differences. But to understand hemp and how it differs from marijuana, you need to learn a little about the cannabis plant first. Cannabis sativa and Cannabis indica are the two species most commonly used for medicinal, recreational and industrial purposes. Cannabis ruderalis, by contrast, is not cultivated on a large scale, as it lacks the size to be valuable for industrial purposes, and it lacks significant amounts of the psychoactive chemicals found in Cannabis sativa and Cannabis indica. However, it is occasionally crossed with the other two species by cultivators, who prize its insect and disease resistance, among other things. Hemp is a variety of Cannabis sativa, but it has been selectively cultivated to suit industrial, rather than recreational purposes – primarily the production of fibers. Humans have been cultivating this fiber-rich variety for more than 8,000 years, and it has been used by a variety of civilizations all around the globe. In the modern era, hemp has not only been cultivated with an eye toward improving its fiber-producing abilities but also with the goal of reducing the amount of THC present in the plant. This makes the plant easier to handle from a law-enforcement point of view, and a few states allow for the commercial cultivation of the plant. However, most farms permitted to grow the plant must only produce strains that have very low levels of THC – generally on the order of 0.2 percent or less. However, while hemp contains very little THC, it is often rich in CBD. As CBD does not produce psychoactive effects, cultivators never went to the trouble of reducing the amount present in their plants. Accordingly, hemp is commonly used as a source of CBD for the medicinal marijuana industry. Why Are CBDs Typically Administered in Oil Form? There are a number of ways people administer CBD and other cannabinoids to themselves. Remember that, as stated above, many cannabinoids are only formed when cannabis is heated, so eating the raw plant material is usually avoided. Doing so often causes minor gastrointestinal upset and it rarely achieves the desired effects. Smoking cannabis is probably the most popular dosing method people use but doing so likely carries its own health risks. While cannabis smoke doesn’t contain the same types of harmful chemicals that cigarette smoke and other types of smoke do, it still involves the inhalation of super-heated gases, which can damage the lungs and throat. Vaping is somewhat similar to smoking, except that it produces fewer harmful chemicals and doesn’t require the user to inhale hot gases in the same way that smoking does. And because it typically involves the use of concentrated oils rather than raw plant material, patients can typically achieve the desired effect more quickly and efficiently. CBD oils and other cannabinoid-containing products are also sold in ingestible forms. This includes liquids, which are typically delivered via an eye dropper, and oil-filled capsules. Some people ingest the oil directly, while others mix it in with food or a beverage. People have been cooking with raw cannabis and oils derived from it for decades, but this was primarily done for recreational purposes. However, as the medical marijuana industry has matured, many manufacturers have begun producing edible items containing CBD or other cannabinoids. Some people also make similar foods at home, by incorporating cannabinoid-infused butter or oil. Given the above options, many people opt for one of the last two. They are not only more convenient (and likely healthier) than the other delivery methods, they can be administered discretely. CBD oils (and cooked products containing them) not only provide the same benefits for dogs, they are also the only way to reliably provide your dog with the dosage upon which you and your vet have agreed. 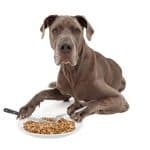 Some dogs may take oral liquids directly (just squirt them on the back of your dog’s tongue), but others will require you to add it to their food. Several states have allowed people to use medicinal marijuana for the past few decades, but beginning in 2008, the dam started to break and a number of states began allowing recreational use. Currently, eight states and the District of Columbia allow recreational use and 29 states allow for some type of medicinal use. This changing legal environment has partly spurred owners and vets to begin trying CBD oil for dogs. Nevertheless, the federal government still lists marijuana as a Schedule I drug, alongside heroin, LSD, and others. And while hemp is a legal product for licensed farmers to grow, and you can frequently find bracelets and other goods made from hemp fiber for sale at your local mall, CBD oils are still considered illegal at the federal level. The FDA has not approved any of the commercially produced CBD-oils for pets, and many state veterinary licensing boards also prohibit vets from prescribing them for their patients. This all means that you may want to tread carefully when ordering some CBD oil for your dog. What Types of Ailments Does CBD Oil Treat in Humans? There are varying amounts of evidence supporting the use of CBD to treat the conditions listed above. Some studies have found CBD helpful for treating some of the symptoms listed above, while others have failed to demonstrate a correlation between CBD oil and symptom reduction. It is important to note that while THC is typically used for recreational, rather than medicinal purposes, the psychoactive cannabinoid does appear to help alleviate the symptoms of a few conditions, including glaucoma and Tourette’s syndrome. 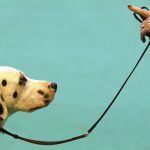 Related: Glucosamine for Dogs: Hip Help or Hype? There hasn’t been much research investigating the medicinal benefits of CBD hemp oil for dogs (fortunately, this is finally changing and some veterinary colleges are beginning to study its effects). 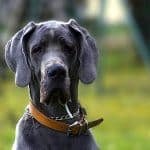 Nevertheless, many pet owners and veterinarians use it to treat some of the same ailments the drug is used to treat in humans, and anecdotal accounts of success abound. What Do Vets Have to Say About CBD for Dogs? Vets are a mixed bag when it comes to the CBD benefits for dogs. Some enthusiastically encourage their clients to try it, while others remain reluctant to encourage its use. Some are probably conflicted by the murky legal ground they find themselves on when speaking about Cannabis-based products, so it is difficult to determine the consensus opinion. But other vets lack McKenzie’s skepticism and encourage owners to use CBD oils to treat ailments that have proven difficult to treat with conventional medications. The very nature of veterinary care further complicates the issue, as pets can’t tell us if the medicine they are taking is helping or not. Instead, owners and vets must attempt to determine the efficacy of many medications – including CBD oil – by interpreting the behavior of the dogs being treated. This, it turns out, is not always reliable. For example, a 2012 study found that many owners reported that a standard osteoarthritis medication helped to improve their dog’s mobility and reduce the pain associated with the condition. The only problem? More than half of the owners who reported an improvement in symptoms were mistaken – their dog was only prescribed a placebo. Because the placebo effect can strongly influence the results of cannabinoid-related studies, some scientists have taken steps to verify that dogs can even absorb CBD oils when they are administered orally. Unfortunately, the initial research suggests that they cannot – at least not very effectively. This means that many of the reported health benefits of CBD oil for dogs may be nothing more than wishful thinking on behalf of owners. Those who do recommend CBD for their patients (or speak in hypothetical terms to avoid actually recommending its usage to their clients) typically encourage owners to start very slow, and administer very well-measured amounts. For example, a CBD oil produced specifically for use in pets, called VetCBD, has 19 parts CBD for every 1-part THC. 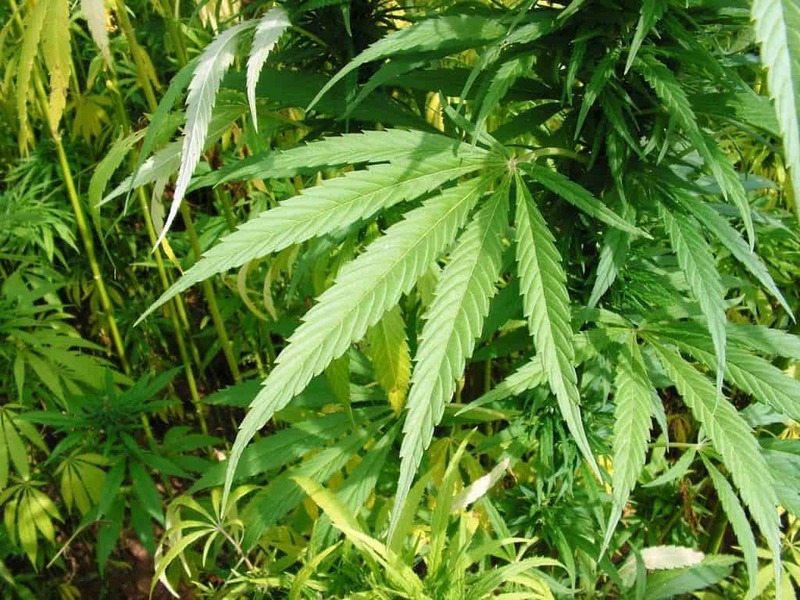 Some medical marijuana advocates, doctors and vets favor the use of hemp in the commercial production of CBD oil, but others suspect that derivatives of hemp plants are not as effective as those which are processed from psychoactive Cannabis strains, which have had the THC removed in a laboratory. This school of thought is based on the purported “entourage effect.” The entourage effect refers to the combined action of the various cannabinoids and terpenes (chemicals also found in Cannabis plants), which is thought to produce medications that are more effective than the sum of their parts. However, this can be risky. The regulation of cannabis-based products varies greatly from one state to the next, and it is not always clear that you are getting what you think when you purchase a cannabis-based product. This could be very problematic if you obtain a medication that contains too much THC. Dogs can and do get stoned, and it isn’t always cute or funny – some become quite distressed or disoriented, and some may fall ill. Don’t forget that most authorities consider Cannabis plants toxic to dogs. A few dogs have even died after eating THC-infused edibles. In many ways, the medical marijuana market is like the Wild West. Scads of manufacturers are entering the marketplace, trying to capitalize on the surge in interest that these products are enjoying. But unfortunately, many manufacturers are using deceptive practices and questionable marketing tactics to sell their products. Some use confusing language to obscure the fact that their product doesn’t contain very much CBD oil, and some don’t include any CBD at all! There are also safety and quality concerns with some of the products on the market. Accordingly, you must use great care to avoid poorly made, potentially unsafe CBD oils and related products. Only buy from well-reviewed, legitimate manufacturers and retailers, and it is always a good idea to review the product with your vet before administering it to your dog. The entire medical marijuana market exists in a legal gray area, and products intended for pet use (particularly those sold over the counter) do not enjoy the same degree of regulation that products intended for human use are. 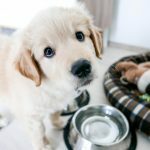 What are your thoughts about CBD oil for dogs? Have you ever considered treating your dog’s medical problems with a cannabis-based medication? We’d love to hear about your experiences in the comments below. Cannabinoid diagrams courtesy of Wikipedia. Golden Paste for Dogs: Miracle Cure?